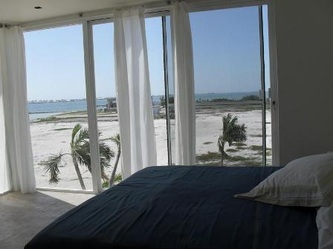 Casa Linda "Our Belize Vacation" - "Our Belize Vacation"
Brand new modern ocean front Villa in Ambergris Caye.pool, 3 minutes from San Pedro-across the bay. 24 hour boat service, butler on site (add'tl fee), private area, restaurant nearby, spa next door and pool. This Villa is spectacular. Personal tours on site including Blue Hole, snorkeling, Ho Chan Reef. Free transportation 24 hours/day. Close to San Pedro. No oil on this beach! White sand and clear blue water. Sit on the pier and look at the fish! 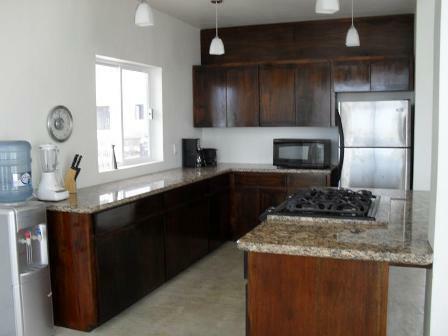 Incredible development of contemporary single family villas for sale in Belize! 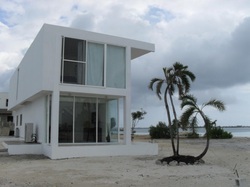 Waterfront development of Costa Del Sol area, Ambergris Caye. Modern design, excellent quality finishes. This is a new and exciting waterfront project consisting of eleven, 2 Bed/2 Bath, single family villas. Each villa has beach views and are priced lower than any free standing villa in the area. Contemporary architecture and incredible views! Only 3 of 11 villas remains available. Casa Linda, which was named after Sullivan's late mother-in-law and means "small home", offers buyers 1,946-square-foot-homes. Eight of the 11 homes in the first phase of the project have been sold so far. A total of 21 of these homes will be built. 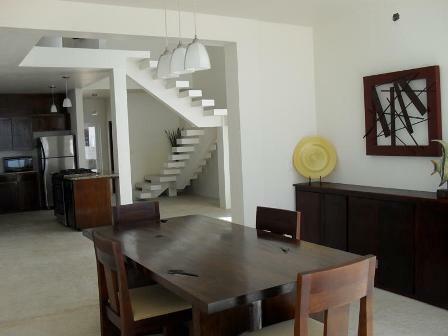 The Casa Linda Luxury Resort is a community of 11 luxury villas, each consisting of 1510 square feet. 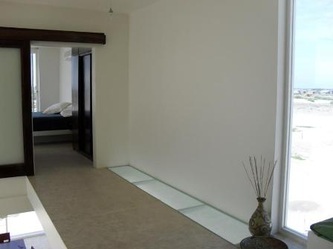 Design work was completed in January 2008, with commencement of construction of our display villa scheduled for March. Casa Linda has been tailored to help fill a virtually untapped segment of the Ambergris Caye real estate market; that of affordable detached villas. The appeal of a detached villa over the available and often much smaller condominium units typically on offer is considerable. Renters can be expected to comfortably pay a significant premium for Casa Linda villas over those commanded in the condominium market. Our experience also suggests that this project will be well-suited to bookings for multi-family vacations and weddings where each family can have their own villa. There are 21 luxury villas, 2 bedroom/2.5 bath, with 1,510 s.f. of interior living space and 291 s.f. of exterior deck space.